"A more beautiful and picturesque scene cannot be offered to the eye of the traveller wearied with the continued expanse of azure and ultramarine". 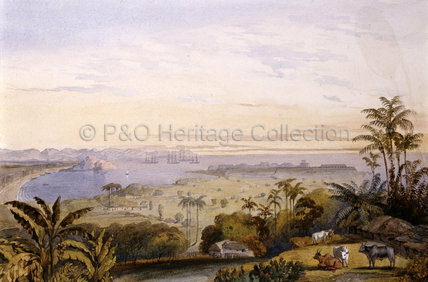 At Point de Galle P&O established another agency and coal depots for onward journeys. Re-fuelling meant passengers had time enough to explore the cinnamon gardens of the interior.